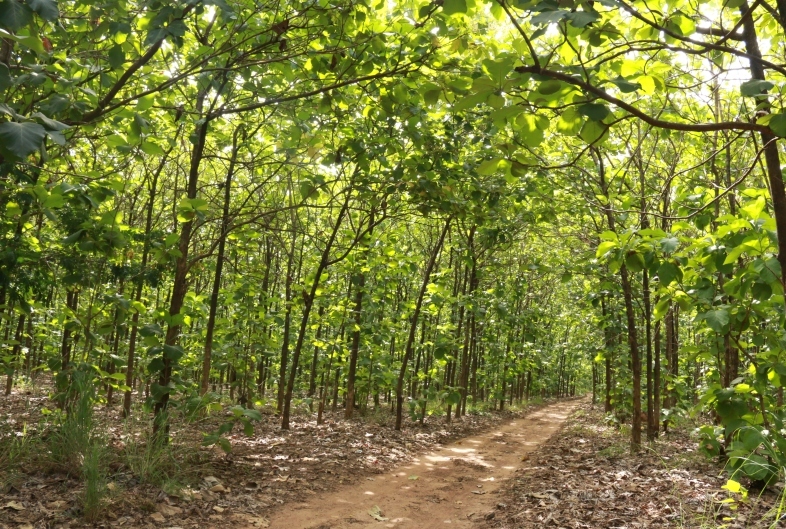 Over the past two decades, one of the key trends, mainly in densely populated areas, is that of a shift in commercial plantation tree production to trees and other woody plants outside forests on farms. As a result of increased demands for timber, but also of improved land tenure conditions and declining real prices of agricultural cash crops, farmers in many areas in Africa have realised the potential of investing in tree growing for sale – as timber to local sawmills, scaffolding poles to building companies, transmission poles for electricity companies, charcoal for urban people, etc. – as a source of income comparable to agricultural crops. For example, in the Southern Highlands of Tanzania, small farmers are increasingly earning more from sale of trees grown on their farms, which in turn increase the value of their land. For example, a hectare of “normal” semi-degraded crop or grazing land is valued at about USD 125, however, the value increases sharply, and at times up to ten times, when the land supports a good stand of 4-6 year old pines or eucalypts. Sometimes, farmers grow trees on a contractual basis as out-growers to forest industries, e.g. in South Africa. The trend of increased interest in tree growing by farmers and communities has also resulted in, and been made possible by a rapid rise in tree grower associations, community based forest user groups as well as producer groups and cooperatives, especially in Eastern and Southern Africa . Multi-purpose trees (for fodder, soil fertility, fuelwood, fruits, etc.) are also increasingly established in agriculture and pasture systems (e.g. in agroforestry systems).